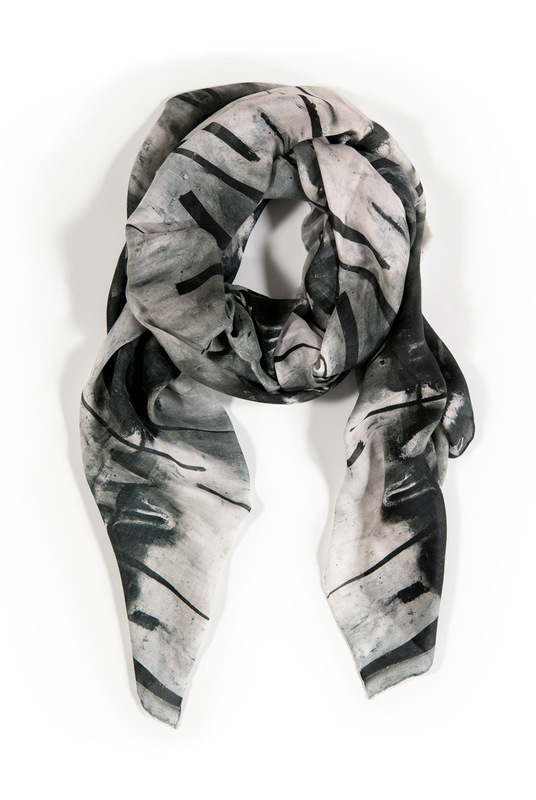 Our scarf’s playful obsidian gestures, nestled in an atmosphere of grey and cream, evoke the mood of a misty forest, or shards of igneous rock mirrored in water. 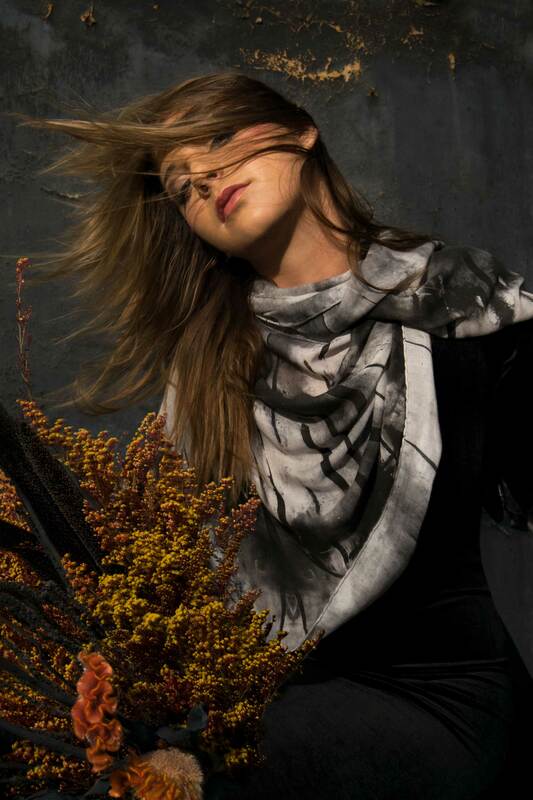 This expressive and fractured landscape merges beautifully with cashmere. 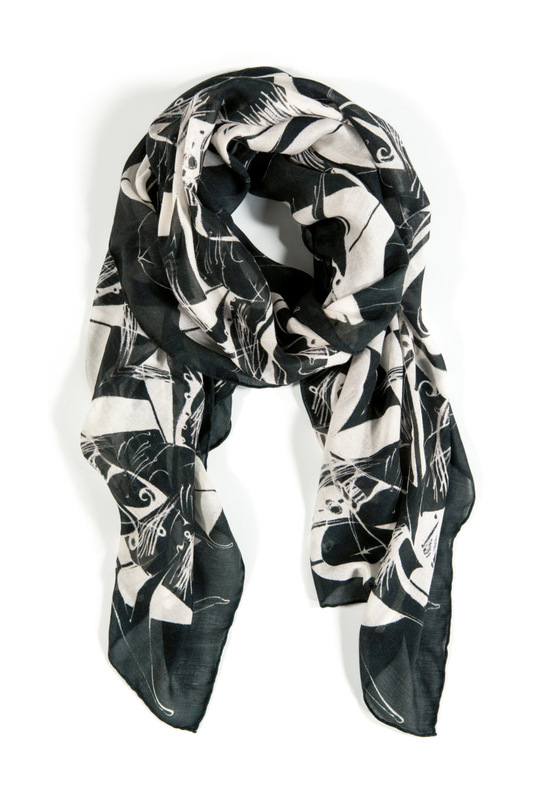 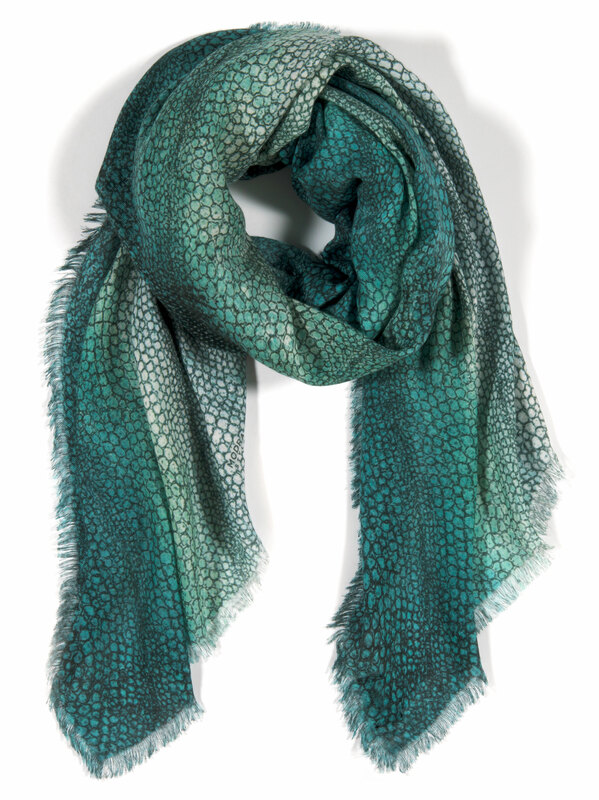 Sophisticated and luxurious, this scarf reflects upon the chaotic beauty of nature in a geometric fashion. 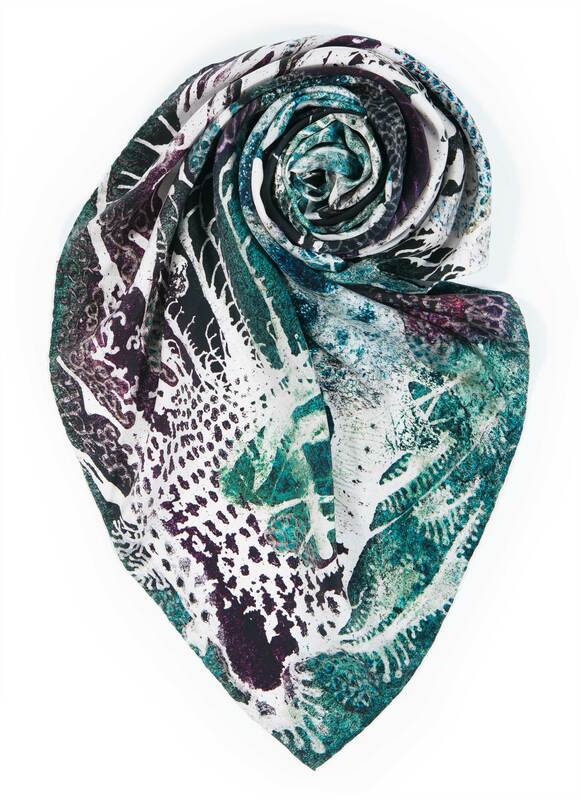 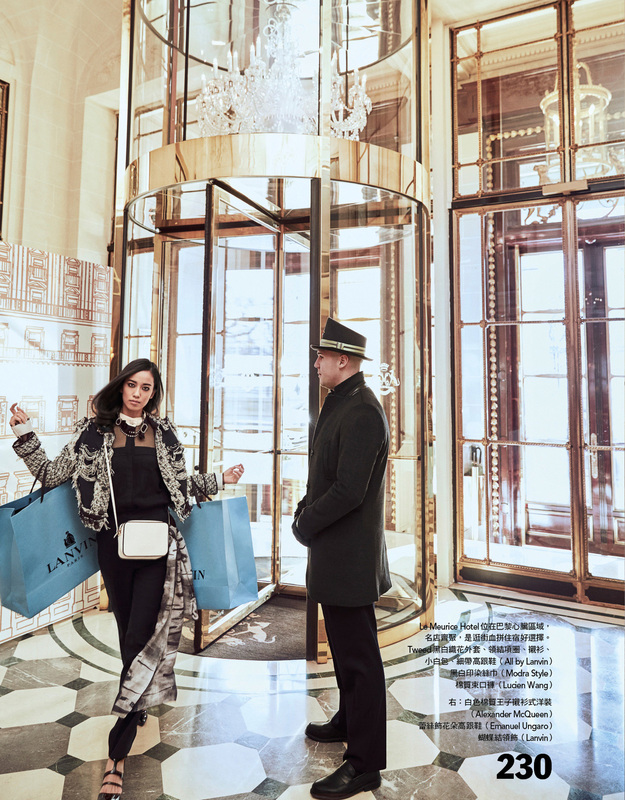 The Obsidian Scarf was recently featured in Vogue Taiwan’s “Paris Indulgence” Fashion Editorial. 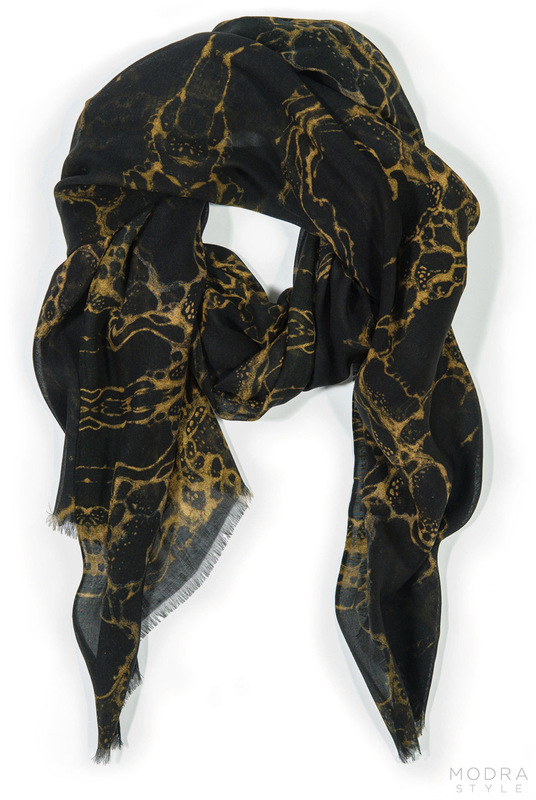 A luxurious blend of gossamer Cashmere/Modal, our scarves wrap beautifully at a versatile 25” x 75”.